Higher than recommended amounts = increased soil mobility = increased maintenance. Avoid sands with surfaces that are severely angular or rounded as well as highly spherical. 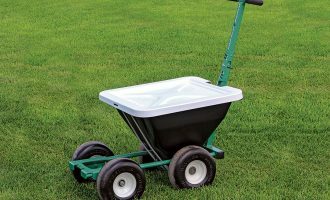 For lower maintenance fields, use a soil with 65 – 75% sand content. 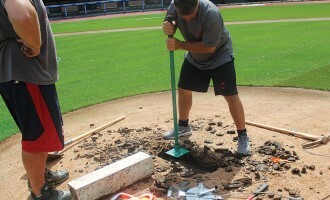 High maintenance infields can use a tighter soil for better traction by decreasing the sand content to between 55% and 65%. Stay with lower end of recommended values to avoid dusty infields. 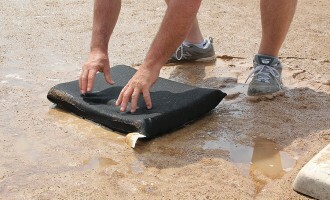 High levels of silt (>30%) will increase the slickness of an infield skin surface when it is wet. Infield soils with clay contents higher than 25% may require the addition of soil amendments for proper soil consistency.